Be sure to check back weekly to see the newest wins by our sponsored drivers and those with a Scott’s transmission. Congratulations are owed to Jeff Burnley for his 2nd win this year at Maple Grove! Congratulations, Brock Moshier! Brock won big this weekend at Virginia Motor Sports Park. John Simbeck was incredible this weekend winning both Top ET & also Top Beaver at Beaver Springs! 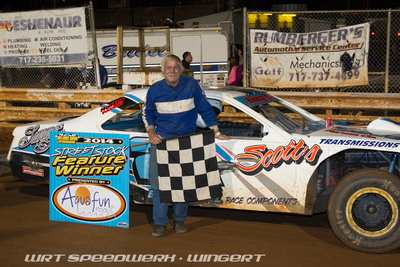 John Boyer was at Beaver Springs this weekend and won Modified! Great job, John! (archive photo) Brock Moshier was at Maple Grove on Saturday where he was the runner up in Pro! Way to go! Great job Marty Flegal for winning in Super Pro & Pro at Cecil County Dragway! (archive photo) Congratulations Brock Moshier for taking runner up in Pro at Cecil County Dragway! Great job, Ron Reber! He won Top ET this past weekend at Beaver Springs! Congrats to Paul Werner for his double win this weekend! He won both Pro & Street at Maple Grove! Way to go Brock Moshier! Brock won Pro on Saturday at Maple Grove! Congrats Paul Werner for winning the Street Final this weekend! Nice job John Simbeck! He won in both Top ET & Top Beaver this weekend. John has a Scott's Bracketmaster Level 4 Powerglide. Congratulations to Steve Dove for his win at Williamsgrove this weekend. Great job! It was a great weekend for Marty Flegal at Capitol Raceway. He won both Modified and Super Pro! Congratulations to Brock Moshier for his win at Cecil County Dragway. Great job, Brock! Congratulations to Brock Moshier for his win in Pro at Atco Dragway! This is the first of many wins to come this year!